It gives us immense pleasure that Parama Poojya Srimad Sammyamindra Teertha Swamiji, patta shishya of Parama Poojya Srimad Sudhindra Teertha Swamiji, Mathadhipati of Kashimutt Saunsthan will be camping at “Sri Sukrateendra Kalamandir”,G.S.B. Samaj Seva Sangh, Parnaka, Vasai form 16th June to 18th June. 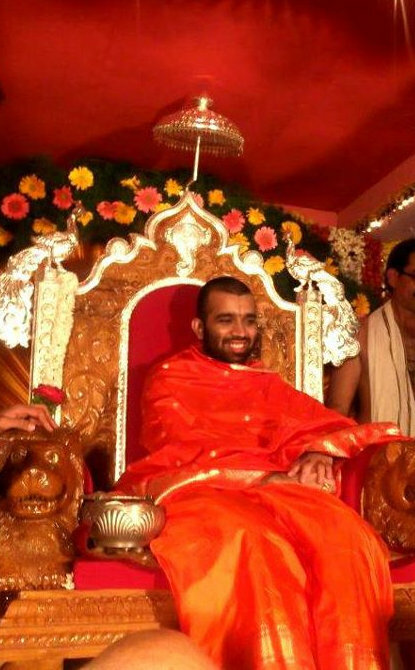 Swamiji will also be blessing us at our Balaji Sabhagraha & Prarthana Mandir, G.S.B. samaj Unit, Vasai Road enroute to the camping site, the details of programme to be announced later.